Curtains and Partitions - innovints Webseite! Partitions are generally combined with literature pockets, magazine racks, holders, baby bassinets, entertainment systems, and in some locations with dog houses and bustles. 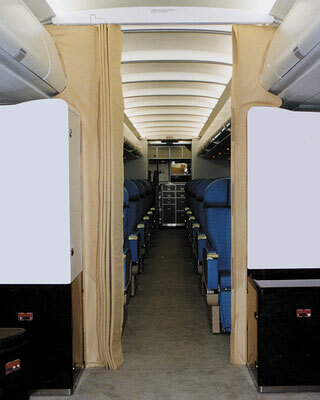 We design and manufacture all these types of equipment and can offer within this combination of equipment to supply complete equipped sub-systems for the aircraft cabin to our customers. Provisions for magazine racks, literature pockets etc. 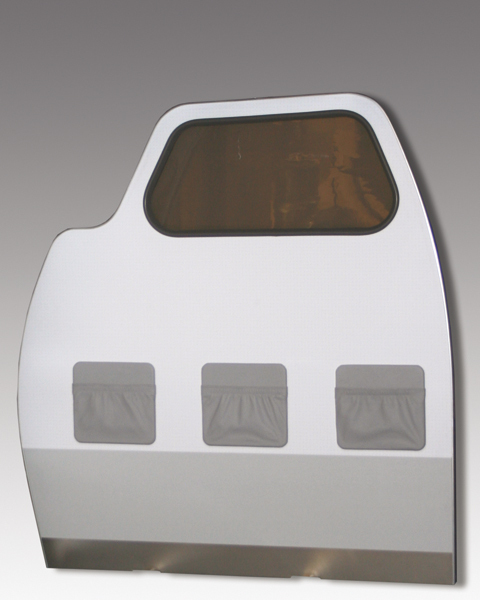 The windscreens and class dividers are seat track mounted and may have upper attachments or tie rods as required. Sizes are below overhead stowage compartment or full cabin ceiling height. The honeycomb sandwich panel is covered with a decorative film, below shown is a partition with imitation wood DFC coating. 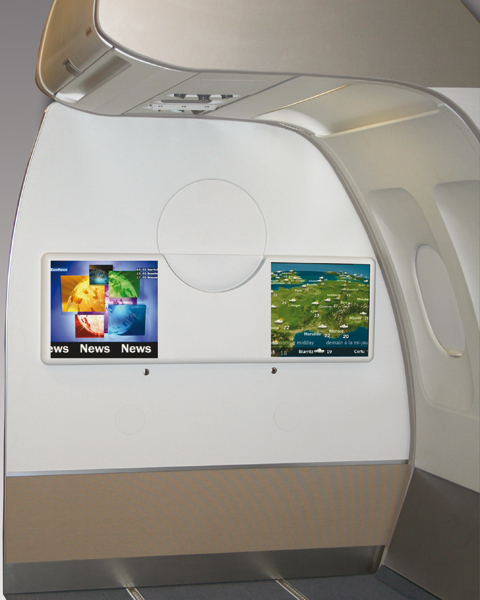 The edges are protected by an aluminum trim profile. 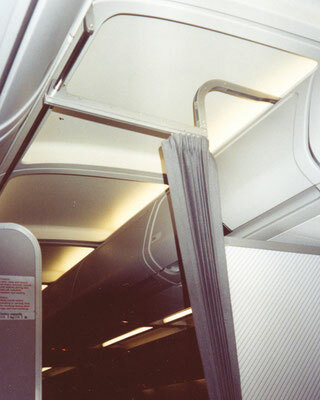 Curtains are generally in combination with class dividers or other furnishings and protect access to dedicated areas of the aircraft like galley working area, door etc. 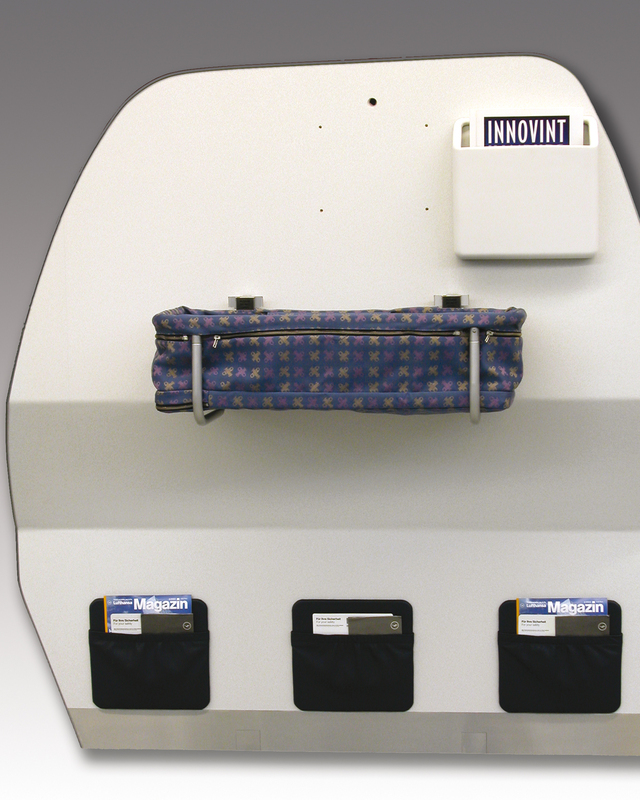 With additional padding they can also provide more privacy for e.g. 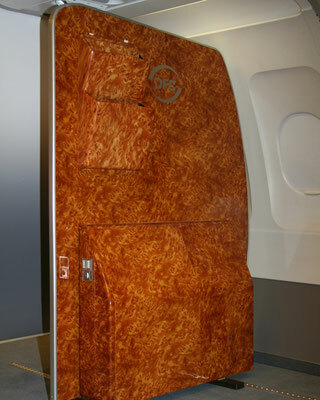 executive compartments in the cabin.